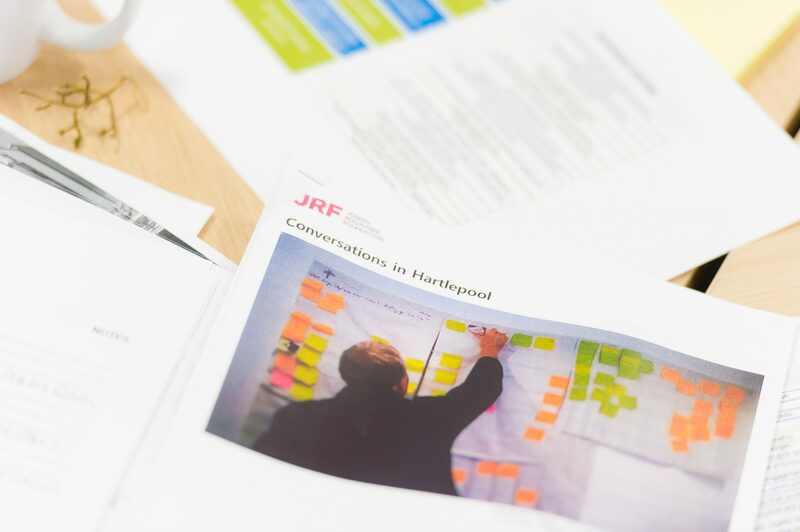 An internal evaluation of the first four months of the Hartlepool Food Network. 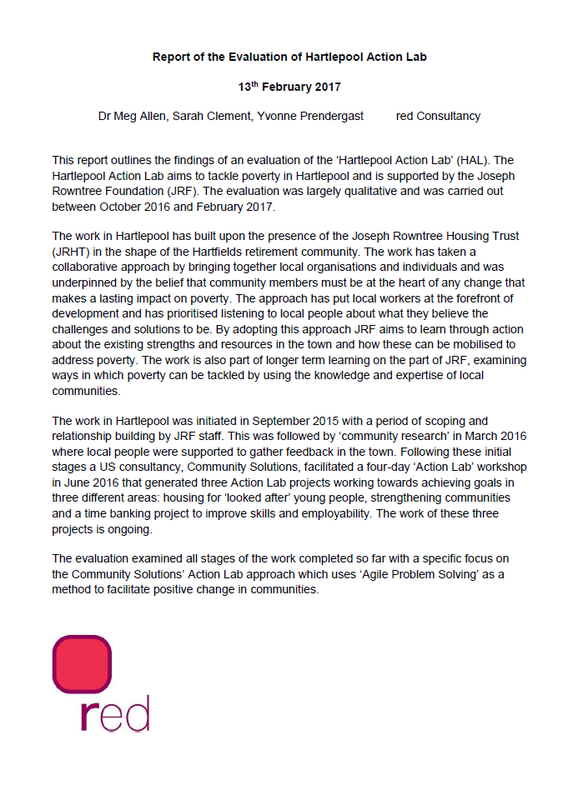 An evaluation of the ‘second’ Hartlepool Action Lab, preceding community research and subsequent activity. 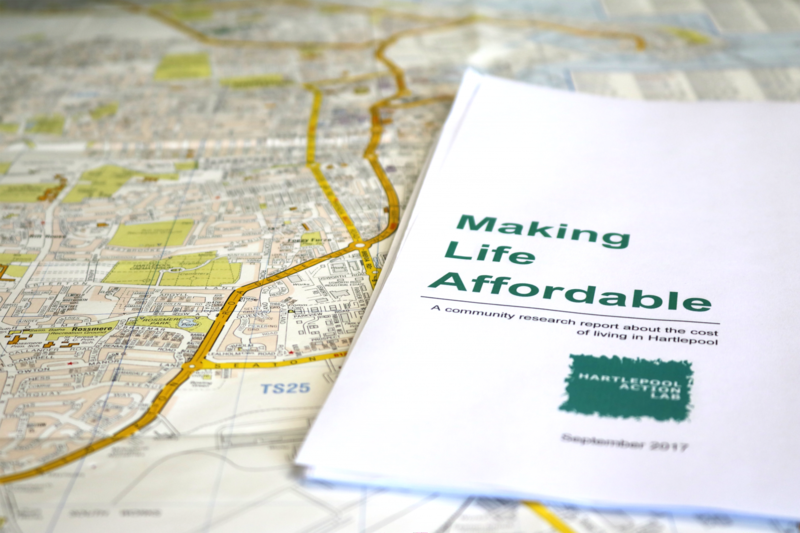 A community research report about the cost of living and poverty in Hartlepool. 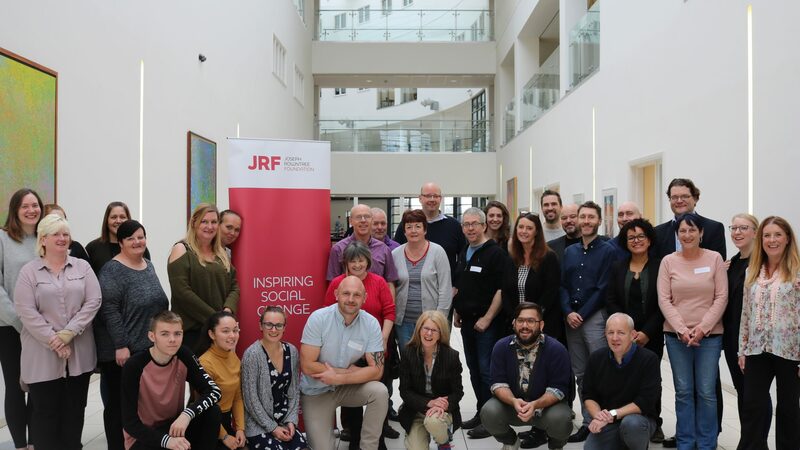 A Joseph Rowntree Foundation-commissioned evaluation of our way of working, by red Consultancy. What’s great, not so great and an idea to improve Hartlepool? 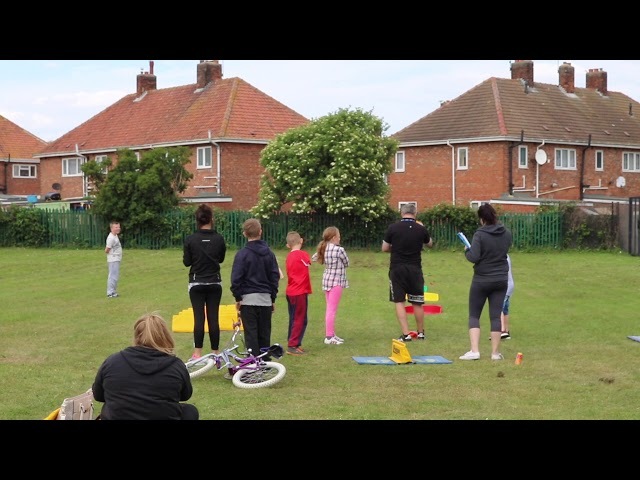 A community research report about living in Hartlepool.